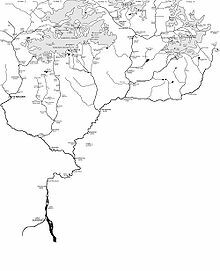 Pinder River (far right) in the map showing The Himalayan headwaters of the Ganges river in Uttarakhand, India. The Pindar River is a river located in Uttarakhand, India. Wikimedia Commons has media related to Pindar River. This page was last edited on 25 June 2017, at 20:25 (UTC).